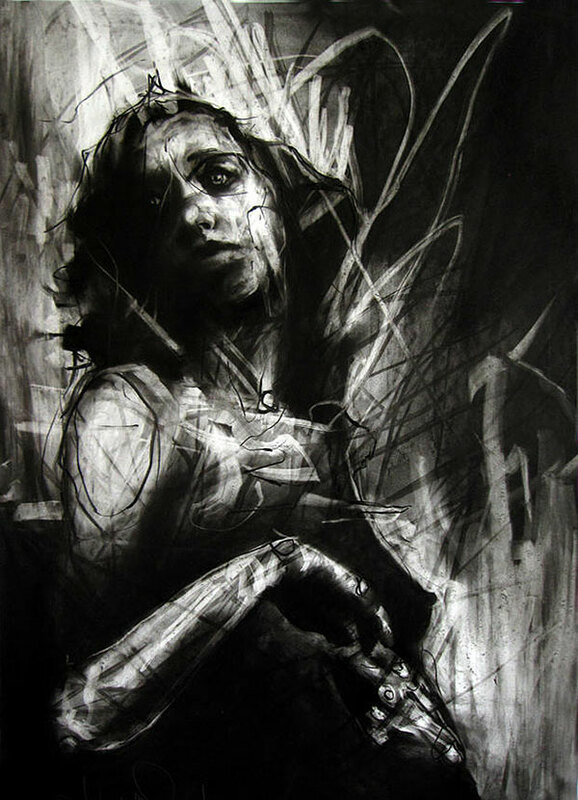 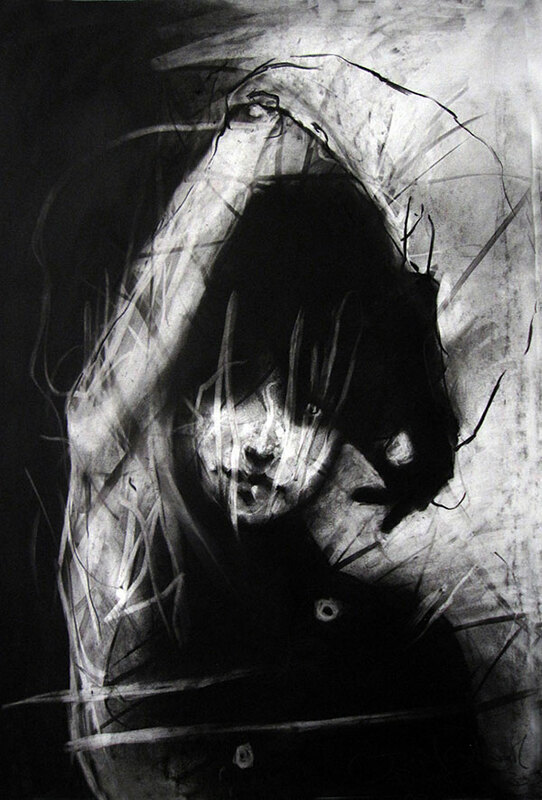 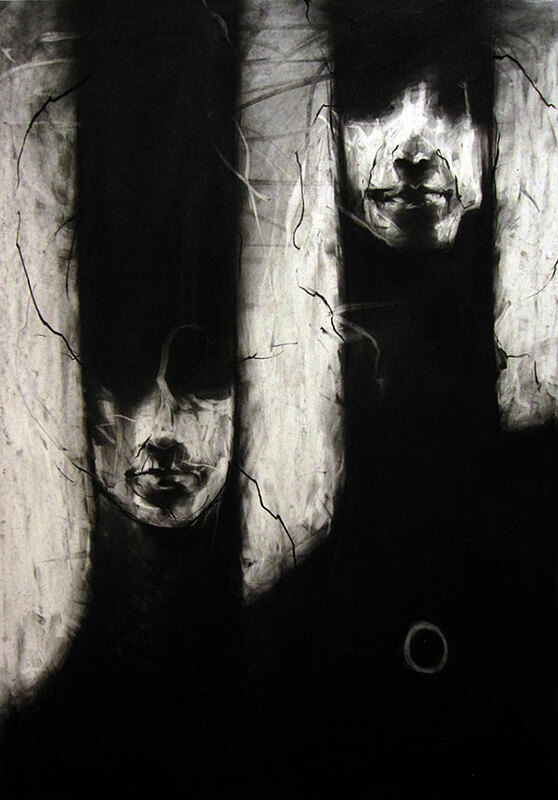 Figurative charcoal drawings that have a dark edge quality to them. 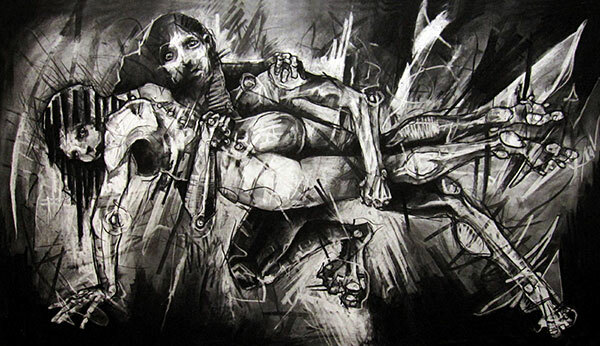 The works are also influence by artists such as Egon Schiele, Frank Auerbach, Käthe Kollwitz and Alberto Giacometti. 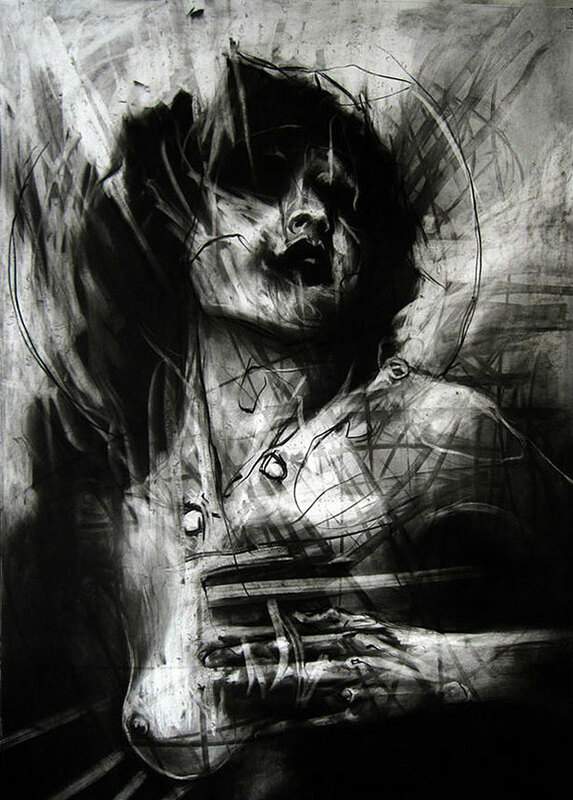 Honesty, expressionism and possibly exorcism can be read from Loughborough’s impulsive and intuitive rapid-fire mark making, which strive to grasp a comprehension of the human condition. 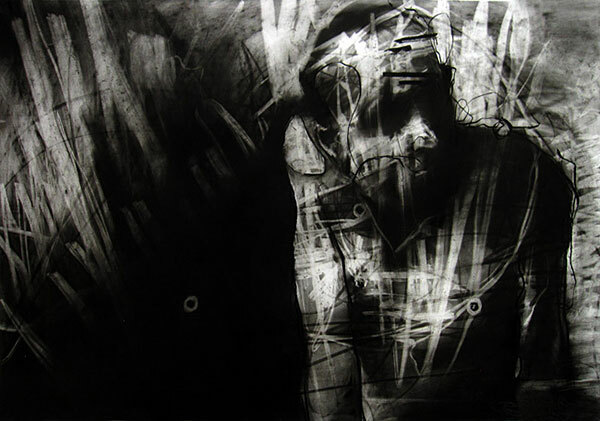 Each drawing becomes a story pursuing a standing point within the concept. 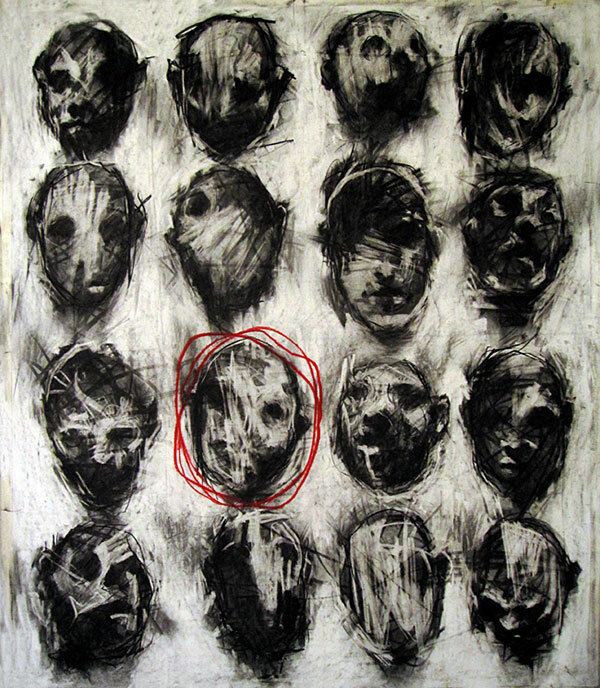 Lonely human forms seem to struggle and ponder the sporadically lit space they occupy without reaching the point of a dramatic emotional encounter. 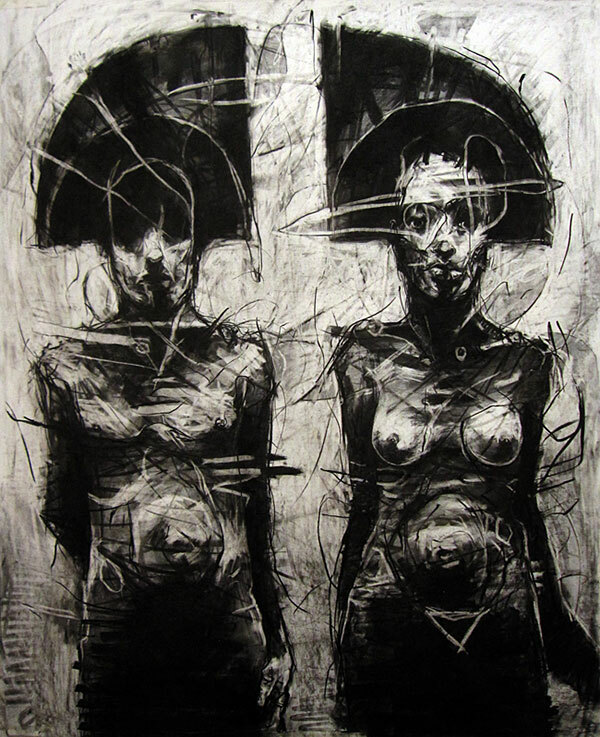 Couples and groups of people cling together searching for an antidote to the revelations of their existence.